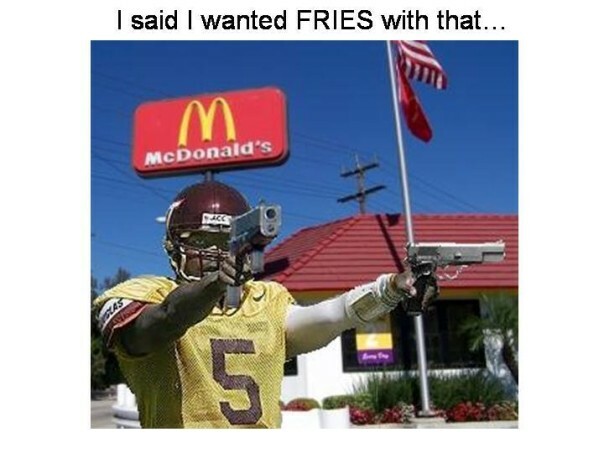 My Opinion on Sports: I Said I Wanted Fries with That! I found this at Turkey Talk. I know the Marcus Vick story is old but you have to love the humor. I guess this would pose new meaning to the shotgun formation.